Iowa State University Extension and Outreach will hold a 2016 land leasing and valuation workshop on Tuesday, Aug. 2nd. The workshop is a key source of information to landowners and tenants on land value and rental rate trends. There will also be discussion of different ways to determine a cash rent, how to establish a flexible cash rent, and considerations to have a successful land rental rate negotiation. Lower cash prices for crops has tightened margins on producers and put downward pressure on land values and rents. The workshop will also discuss the cost of crop production for 2017, so that tenants can plan accordingly and landowners are aware of the costs tenants face outside of just paying the rent. Officials say if there will be any change to a land lease agreement for 2017, notice that the 2016 lease will terminate must be given in writing before Sept 1st. 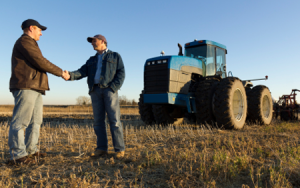 ISU Extension is offering this unbiased workshop to help both landowners and tenants make informed and mutually advantageous land leasing agreements. The cost is $20 per person with pre-registration, and includes the updated land leasing handbook. Shelby County Extension will be holding this workshop starting at 9:30 am Tuesday (August 2nd) at the Shelby County Extension Office located at 906 Sixth Street in Harlan. Call (712) 755-3104 to pre-register, or for questions. United Bank of Iowa will sponsor a light lunch following the session.